You skin feels stretched or tight, especially after taking a shower, going for a swim, or even washing your hands. You skin feels rough to touch. There might be a fine white film of flaky skin. Your skin has red patches. There are fine lines around your mouth. Using a rich and creamy moisturiser is the first step towards following a proper dry skin care routine. Besides this choose skin care products in your routine that are especially suited for your skin type. Most dry skin products are cream-based that keep your skin hydrated and moisturised all day, all night. 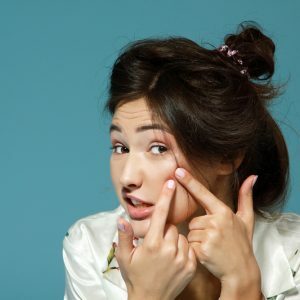 Also looking beauty tips for oily skin? Read our post on DAILY FACE ROUTINE FOR OILY SKIN. Wash your face with a cream-based cleanser. The creamy formula restores the moisture taken away by the soapy ingredients in the cleanser. Another popular choice among cleansers for dry skin are micellar water cleansers. These special cleansers completely wipe away makeup and dirt, but without taking away the skin’s natural oils. Dry skin needs all the moisture it can get! Follow up the cleanser with a dense cream that softens your skin and seals in the moisture. All skin types need sunscreen! Dry skin would need a cream-based sunscreen; gels are better suited for oily skin. The trick to choosing the perfect sunscreen is this – the darker your skin complexion, the lesser SPF it needs. With the high levels of dust and pollution out there, it would be good to borrow a few steps from the Korean skin care routine, like the double cleanse. Cleanse your face first with micellar water, and then with a cream-based cleanser. A good scrub on alternate days would clear off dead skin cells. Use with a cream-based scrub like an apricot scrub. You can even try a homemade sugar scrub with cocoa butter or shea butter. Another step to borrow from the Korean skin care routine is by applying a face serum. Face serums have highly concentrated ingredients that tackle very specific skin problems, which in this case is dryness. Opt for an argan oil-based face serum. Yes! You still have to moisturise even after applying a hydrating serum. The moisturiser will help lock in the goodness of face serums. 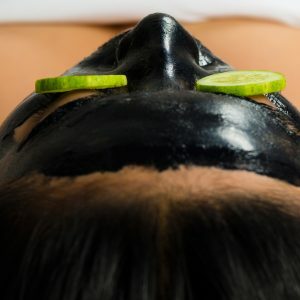 A face mask is best applied on the days you use a scrub. An overnight face mask nourishes your skin while you sleep. You will wake up to smooth and supple skin the morning. Hyaluronic acid is a sugar-based molecule that helps in retaining your skin’s moisture. 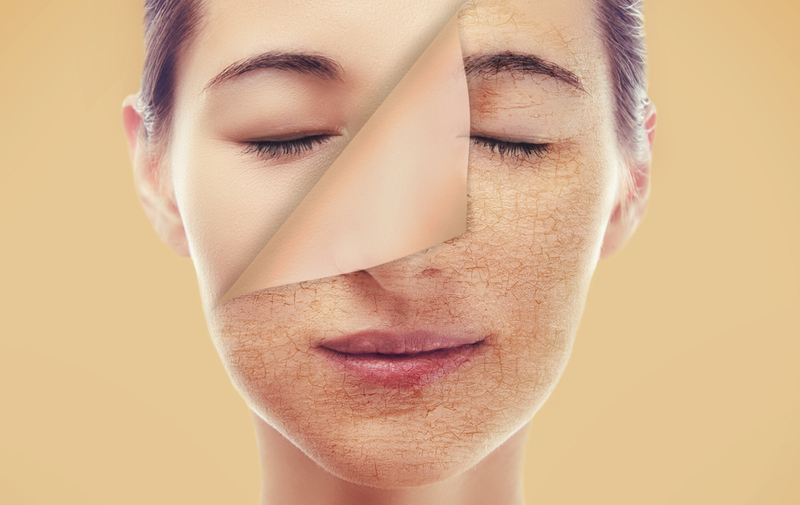 Skin care products with hyaluronic acid have a restorative effect on dry skin. They reduce fine lines and leave your skin with a glow. Face serums for dry skin usually contain hyaluronic acid. Humectants are substances that help in retaining moisture. Glycerine is a natural humectant that attracts and retains moisture in dry skin, leaving it supple and soft. Glycerine-based face washes and cleansers for dry skin are a beneficial addition to your skin care routine. While any skin type can use argan oil, it’s best suited for extremely dry skin types. Argan oil contains vitamin E and fatty acids that repair damaged skin and put a stop to further dryness and irritation. Cocoa butter’s moisturising goodness comes from natural saturated fats and antioxidants, which help in softening dry skin. Not only is it a popular ingredient in a wide range of dry skin products like cocoa butter body creams, lip balms, etc. natural cocoa butter can be used to make dry skin face packs and other homemade skin remedies. Shea butter boosts collagen production in the body and reduces the appearance of fine lines. Shea butter also keeps your skin remains moisturised for long hours making shea butter lotions one of the best moisturisers for winter skin care. h marks. It also soothes any kind of skin inflammation. Some other ingredients that work best for dry skin are jojoba oil, aloe vera, and milk proteins to name a few. Mix the shea butter and aloe vera gel in a bowl. The shea butter will melt almost instantly. Keep mixing until the past is smooth. Spread the paste evenly on your face. Rinse off with lukewarm water. Pat your face dry with a towel. Mix all the ingredients in a bowl. The jojoba oil nourishes the skin, the honey locks in the moisture, and the lavender oil reduces any redness. Wash it off with warm water and gently pat dry your face. You can apply these rich homemade face masks for dry skin twice a week to get soft, supple and hydrated skin.